When I saw this film back in May, I described it as “Fish Tank meets The Monster Squad” and stated that “this may be the import that brings British cinema to the high concept-craving American masses”. I stand by those words, but unfortunately a few things got in the way including a slow theatrical rollout that illustrated the studio’s lack of faith in the film (understandable considering its total domestic gross was $4 million though that may be a lot for the UK, I’m not entirely sure) not to mention the recent UK youth riots that seemed to shut down the filmmakers’ social media efforts that were relentless in the weeks prior to those shameful incidents. Edgar Wright, the director of Shaun of the Dead and Scott Pilgrim vs. the World who can do no wrong in the eyes of many a nerd, produced this film that concerns a group of pot-smoking pipsqueak thugs who fight an invasion by hairy, beast-like aliens with glowing eyes (definitely the best aliens we’ve seen in 2011, which has given us the forgettable invaders from Super 8 and Cowboys & Aliens). The film’s major flaw, which you may have seen mention of elsewhere, is that the young heroes brutally mug a woman in the film’s opening, a woman that they eventually team up with in order to battle the beasties. It’s illogical and insane and, as far as I’m concerned, can’t be overlooked. Thus this instance of careless filmmaking completely removed me from the rest of this potentially entertaining action film and also, quite understandably, led to the aforementioned halt in the barrage of post-riot promotional Tweets and Facebook updates. The Comic Con types will likely see this film regardless of anything. And there’s plenty of punchline-free pot humor for those types, too. 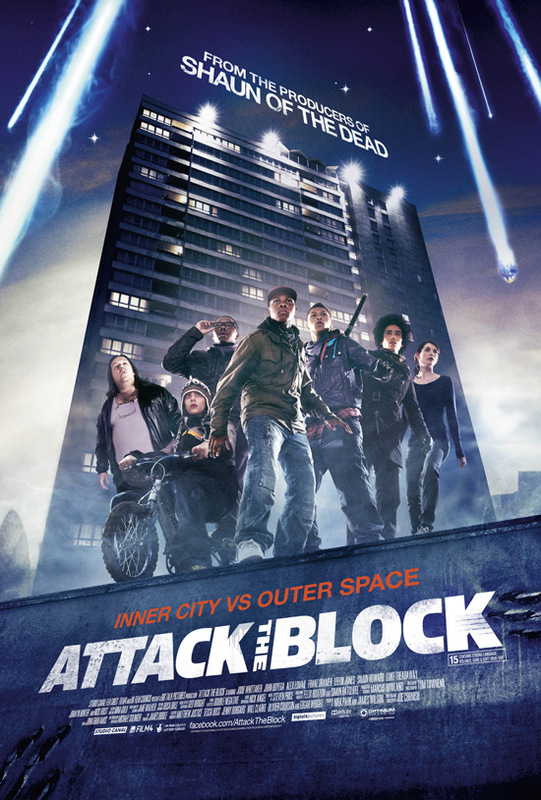 Attack the Block opens today at the AMC Cherry Hill.